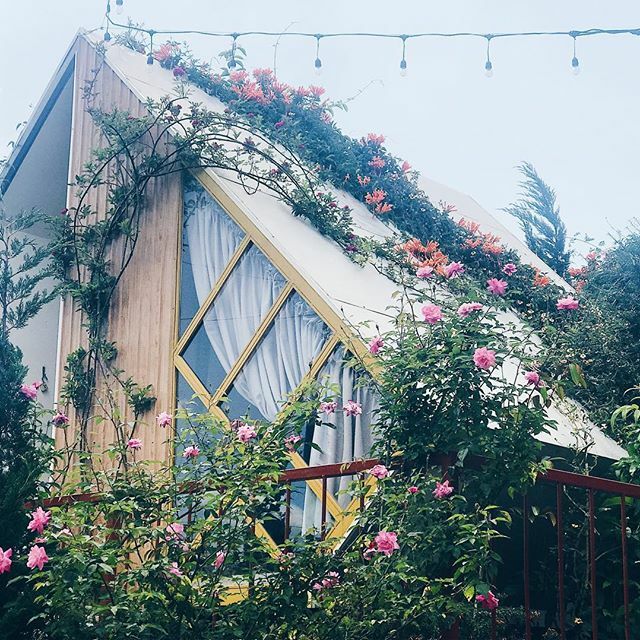 Hundreds of beautiful homestays, hostels, and hotels all gather in Da Lat. However, if you have a small budget, which places offer the best environment and experience without breaking the bank? Let’s find out in this article. Known as the most romantic city in Vietnam, Da Lat is a frequent destination of many domestic and foreign visitors. Travelers really like the peaceful lifestyle, mountainous landscape, and cold weather here. That’s why many young people in Saigon go to Da Lat every month, even every week. 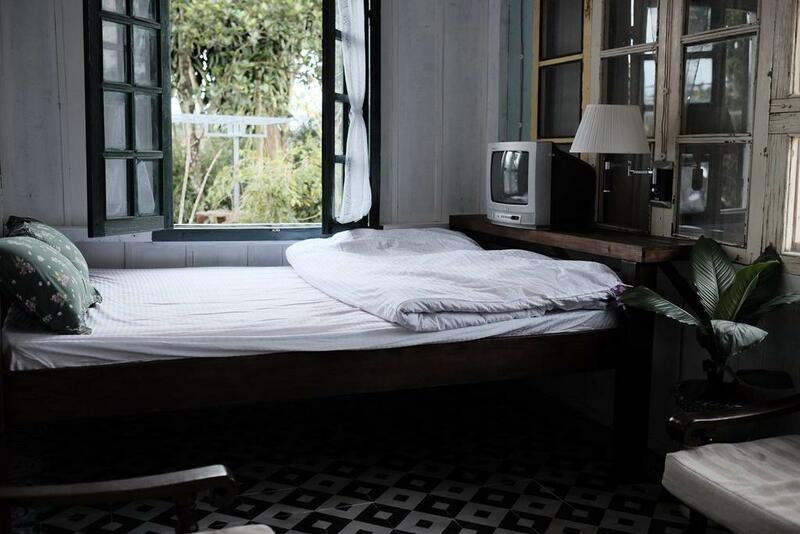 Because of this, many beautiful homestays have appeared in Da Lat. Each of these homestays has its own style and qualities that turn even the most difficult visitor into a loyal guest. 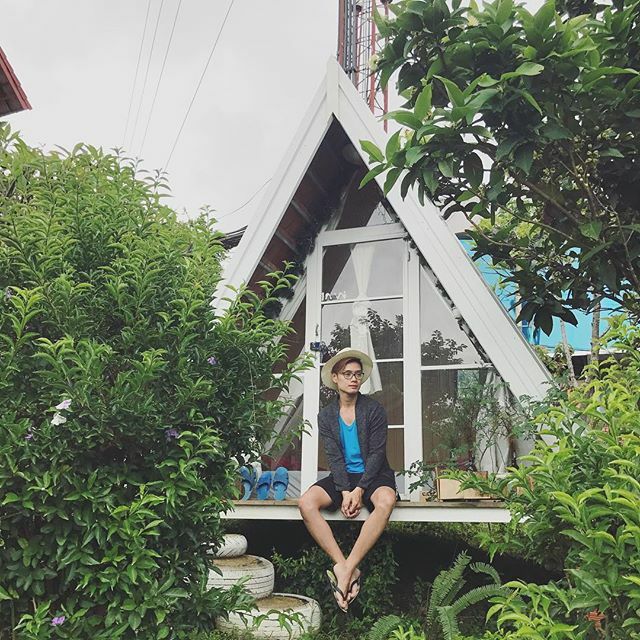 I compiled the most stylish homestays for a small budget in Da Lat into this article. Located in an alleyway on Nguyen Cong Tru Street, 4 Quarters Homestay sees none of the hustle and bustle of vehicles outside. Reflected in its slogan “simple and happy”, this homestay is a nice little house with white painted rooms and simple interiors. There are different types of rooms, including dorm, private room, studio, or the whole house. The washing machine, kitchen, and living room are free to use. There is a small vegetable garden in front of the homestay. It opens early in the morning and you can see the scene of local people watering and picking vegetables. What a peaceful life! The highlight of this homestay is the friendly hosts. You can always find someone to talk to and share stories about Da Lat which makes you feel at home. Situated in Da Nghit forest, Ma Rung Lu Quan belongs to an owner with a romantic soul. This particular place is for adventurous travelers because the road to this homestay is quite difficult. No cars can make the trek, except SUV offroad or manual motorbikes. In return, the beautiful and romantic scenes here will make you forget all the hard work on the way. Imagine purple wooden bungalows on the hillside, a fish pond at the entrance with ducks, and beautiful wildflowers in the middle of the pine forest. 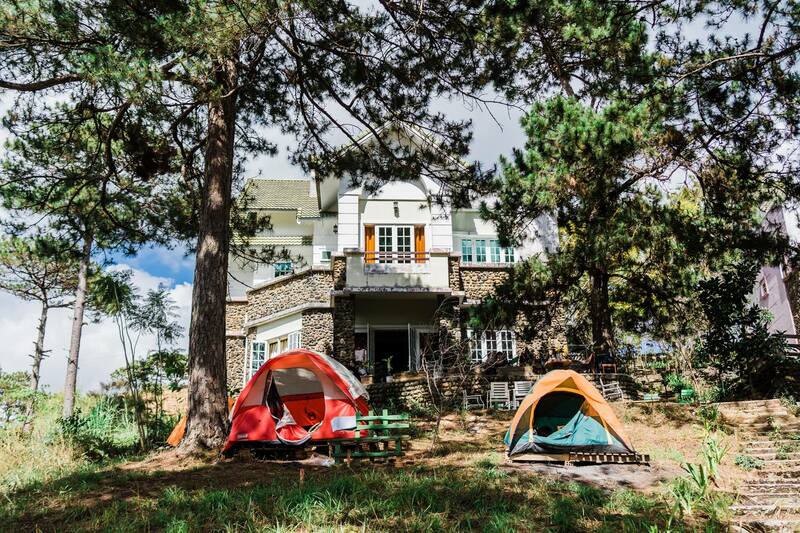 Choose between bungalow, dorm, and camp when you book. 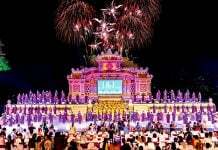 You can also reserve a BBQ for a night for 150,000 VND per person as well. Three kilometers away from the city center, Ngo Dau Homestay is located on the hillside overlooking the valley home to Cam Ly stream. 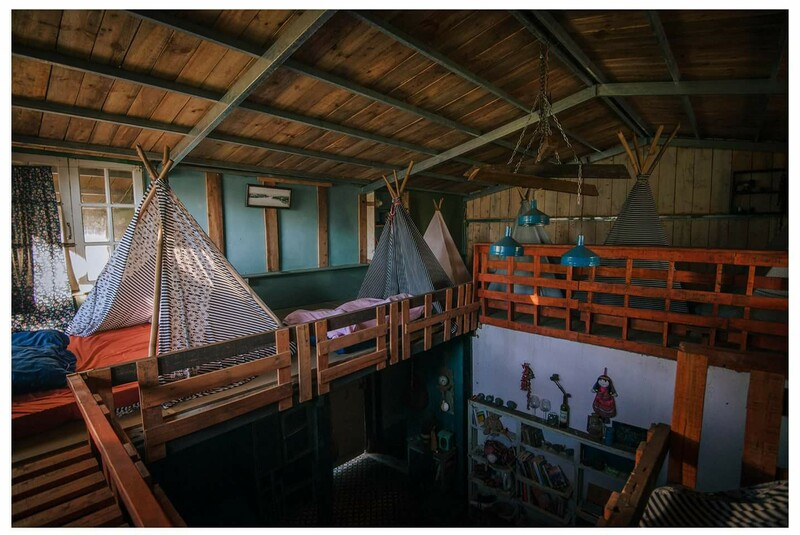 This homestay is suitable for those who like quiet and nature. The furniture in this house is made of wood, bamboo, and recycled items. There are six private rooms, and one dorm in both the upstairs and living room. Every bed in the dorm is made private with a cute little tent which makes it cozy. You can freely use the common living room, kitchen, and front garden when staying here. The host’s whole family usually gathers to cook and eat together. Of course, they usually invite the guest to join them and share the cozy dinner as well. There is a neighbor’s strawberry garden next to Ngo Dau Homestay. The name of the homestay ngo dau means strawberry garden in English. The strawberries are fresh and clean with a little spray. You can buy strawberries that have been picked by farmers or picked them by yourself. 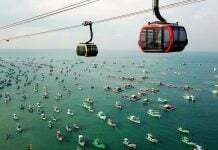 The price is about 80,000 VND per kilogram, depending on the season. Four kilometers away from the city center, Nhà Gió – The Dalat Old-Home is a two-story wooden house. The house is painted entirely in white, decorated with a simple layout from old items such as wooden cabinets, red televisions, or hand-held electronic devices. Those who like the vintage style are fond of this place. 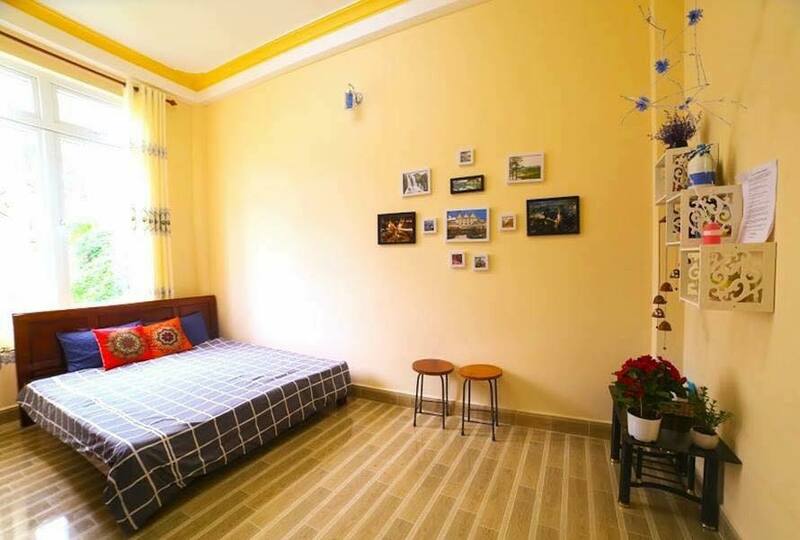 There are many kinds of rooms, including dorm, single, double, and family room. Each room has a cute name and is designed in the style of the 70s and 80s. You can even choose to sleep in a tent in a tree if you like to spend a night in nature. The homestay also has a common kitchen area which is free to use and cook in. Surrounding the house is a pretty garden where plants and different kinds of flowers, vegetables, and fruits flourish. Sit on the balcony, sip a cup of coffee, read a book, and watch blooming flowers while you are here. Located far from the city center, The Wee Home is only suitable for those who prefer quiet and peace. 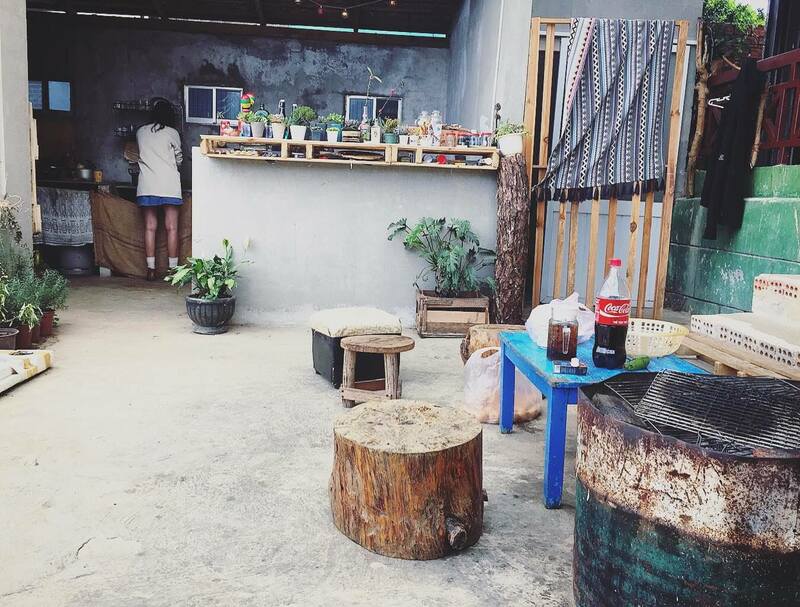 This homestay is decorated in the vintage style, so it’s pretty simple and rustic. At The Wee Home, you will feel comfortable and cozy in your home away from home. If you travel with a big group of friends or family, this homestay will be a great option for you. There is a charming table with a few wooden chairs in the small courtyard. Sitting on the chair and watching the natural landscape in the cold weather of Da Lat are some of my favorite activities. At night, having a small party with the BBQ in this courtyard is a plus. The Wee Home has two kinds of room, dorm and single room for two people. Separated from the crowded streets, Legume is colorful hexagonal houses with blue, red, purple, and yellow tones, which is surrounded by green pine trees. Not only a place to stay, Legume is also an extremely hot check-in place in Da Lat. Legume has 10 rooms, including dorms and bungalows for two or four people. The room is clean, delicate, full of cool air, and sunshine that will bring you a comfortable feeling. In addition to the private bedroom, there is also a common living space with a small wooden table. 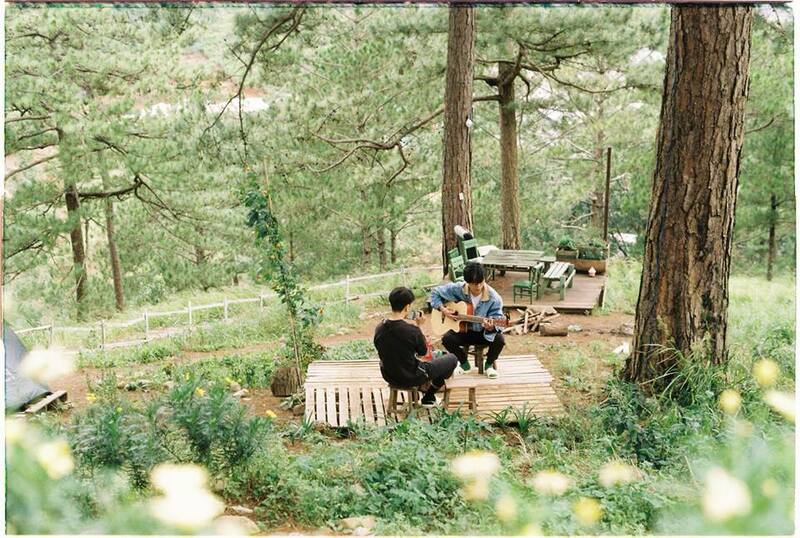 Every guest can gather here, have a BBQ meal, sing and play music, and share interesting stories with each other. In addition, Legume has an area of over one hectare and is surrounded by green gardens. The gardens are planted and taken of care by the host every day. She loves the trees and her plants very much. Perhaps the name Legume stems from this passion of hers. Vanda Garden Hill is located at 39 Trieu Viet Vuong, only 10 minutes from the city center. All items in the rooms are entirely made of wood. The rooms inside the villa are available for booking as well. If you travel with a big group, you can rent the whole villa. 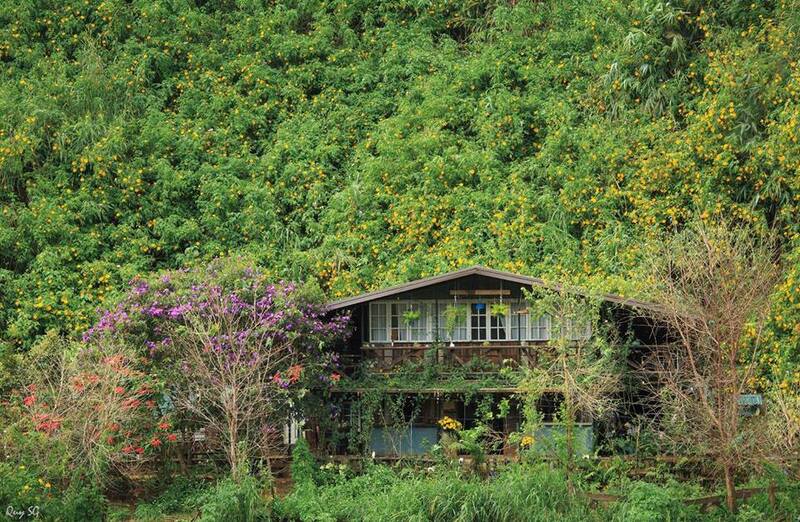 The highlight of this homestay is the small triangle bungalows along the slope. The bungalow is simply furnished with warm colors with a view overlooking the green garden. 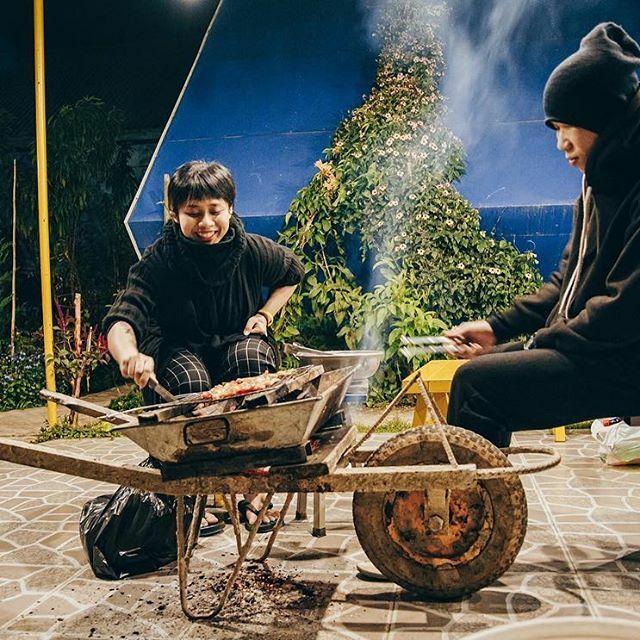 Vanda Garden Hill also offers BBQ services and a campfire. A portion of the BBQ for each person is 120,000 VND. You can expect pork, shrimp, chicken, and fresh vegetables. Raw ingredients and the BBQ area are prepared by the host, so you only need to grill and enjoy the scene. Singing, dancing, and enjoying the cold night with friends beside the fire is the best experience. 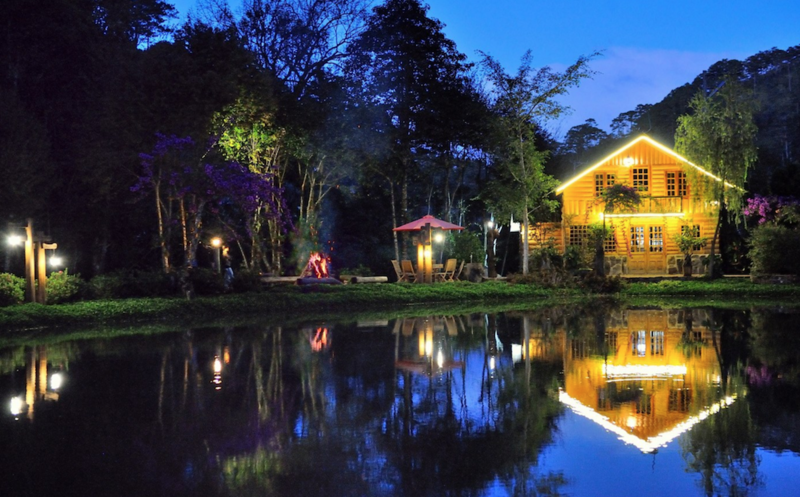 Moonrise Garden Dalat is located at Dang Thai Lan Street, near the cable car station in Tuyen Lam Lake. Reflected in its name, the homestay is quite spacious and full of green trees like a garden. This is not only a homestay but also a coffee shop. The decoration is simple, but it makes you feel relaxed and warm. Moonrise Garden Dalat has three double bedrooms, all of which have a glass wall overlooking the valley of green trees. When you wake up in the morning and pull the curtains, the green garden appears before your eyes. Then, just step outside to breathe the fresh air of a new day, sit in the courtyard and watch the valley below to enjoy your leisure time in Da Lat. If you go with a group of friends, you can rent a tent and make a fire to camp in the backyard all night long. Sometimes planning all the little details can be exhausting, so here I want to recommend an easy way to alleviate some of that stress. If you don’t want to go through the hassle of finding a reliable taxi and not get scammed on the way to your hotel, why not pre-arrange everything? Christina’s offers a wonderful hassle-free and convenient method of getting to your hotel, and all you have to do it just book it in advance. We will take care of the rest. 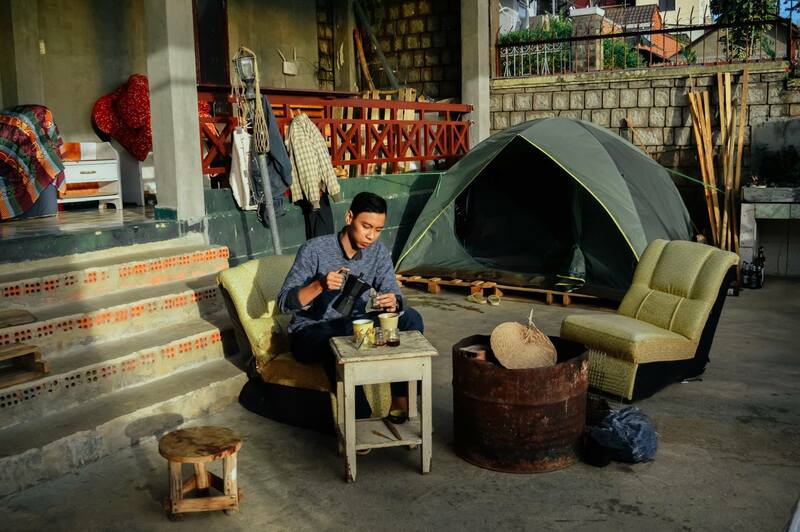 I highly recommend these homestays when you have a chance to visit Da Lat. 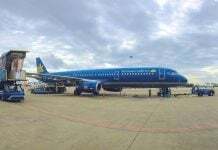 Let’s make your plan and be ready to explore the romantic land of Vietnam. Da Lat in Two Days – A Full Itinerary!